This solid maple furniture is anything but throw-away. This bureau set was built to last with time-honored woodworking techniques like mortise and tenon joinery, English and French dovetailing, and user-friendly whisper-close drawer guides. This solid and functional dressing set has a fresh, minimal look that will outlast the furniture fashion trends that come and go every year. Bureau boasts a handsome, Amaretto wood finish and sleek metal hardware in a copper shade. 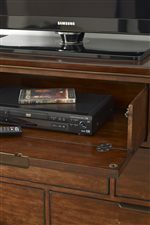 Ten storage drawers are provided for housing your clothes and accessories, including a nifty, pull-out drawer with a drop front for optional storage of DVD and media players. The Elise Transitional Luccia Bureau and Mirror Set with Drop-Front Media Storage Drawer by Kincaid Furniture at Wilson's Furniture in the Bellingham, Ferndale, Lynden, and Birch Bay/Blaine, Washington area. Product availability may vary. Contact us for the most current availability on this product. Time-honored craftsmanship is the cornerstone of the Elise collection. This furniture, carved from solid Appalachian maple, has a sleek and timeless look that will stay in fashion for ages, which makes each and every piece an exceptional heirloom for future generations. The Elise collection offers superb furnishing for your whole home, including dining tables in two height options, storage for every room, two styles of bed, and TV stands for propping up your flatscreen TV. Each of these pieces is equipped with features that make life a little bit easier for you, like built-in power strips for plugging in lamps or charging portable devices. 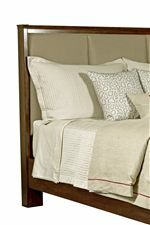 The Elise collection has a warm, casual look that goes well with all manner of room decor, thanks to its cozy, Amaretto wood finish and understated, copper-colored drawer pulls. The Elise collection is an investment in fashion and quality that's impossible to pass up. 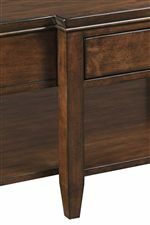 The Elise collection is a great option if you are looking for Transitional furniture in the Bellingham, Ferndale, Lynden, and Birch Bay/Blaine, Washington area. 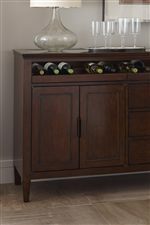 Browse other items in the Elise collection from Wilson's Furniture in the Bellingham, Ferndale, Lynden, and Birch Bay/Blaine, Washington area.